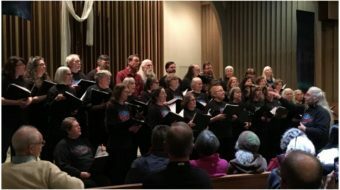 FORT WORTH — Union organizer Cesar Chavez’ birthday, March 31, is celebrated in North Texas as it is across America. 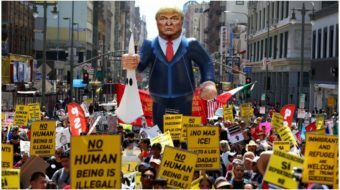 This big city held two parades and two rallies on Saturday, March 27. The second group started from the downtown convention center at 4 PM. Over 100 strong, and full of energy, the crowd of Latinos and other Chavez supporters marched down Main and around the City Hall. 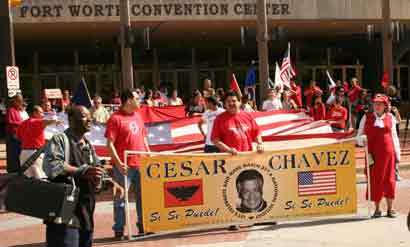 There are no United Farm Workers locals in North Texas, but members of other unions marched for Chavez. A big United Auto Workers banner was in the center of the Fort Worth action. The march ended with more music and a rally at Tarrant County Junior College. Fort Worth City leaders are trying to decide on a street to name after the great farm worker organizer. Nearby Dallas recently celebrated a Cesar Chavez street naming ceremony.